The forum is open to all residents and will provide an opportunity for residents to interact with the Moderator by asking questions and providing feedback on Town Meeting procedure. If you've never been to Town Meeting or are wanting to learn about how to be a more active participant, you may want to take advantage of one of these opportunities. All ages, drop-in. Like the show American Ninja Warrior? Play a library version! Ages 3 to 5, please register. Science, Technology, Engineering and Math based playgroup for preschoolers. Young children are natural-born scientists and engineers. Explore the world around you through these topics with activities. Sponsored by South Shore Family Network. Children ages 3 and under meet for stories, songs and related activities. Children ages 3 and up meet for stories, songs and related activities. All ages, drop-in after school or while you're out and about town to make a craft and grab some books! Big Ryan will host this year’s session for children ages 3 and older and their families. Raising a Reader is the most independently evaluated national literacy program and studies have shown that children benefit by increasing healthy brain development, family bonding, and literacy skills–all proven elements for lifetime success! Register your family for this wonderful program sponsored by South Shore Community Action Council. Grades K and up, drop-in. Meet a new figure from history and learn about the times and issues that made them famous. Clara Lemlich and labor, Albert Einstein and scientific theory, Waterhouse Hawkins and paleontology, Vincent Van Gogh and art are just a few of the people and themes we will discuss in these after school programs. Ages 6 and up, please register. Join us at the library for a Movie Matinee! This is a free event, everyone is invited, and there will be refreshments. The Book Club at the Carver Public Library meets on the third Wednesday of each month at 2:00 in the Small Meeting Room. The Ice Cream Queen of Orchard Street by Susan Jane Gilman is our book for May. "Russian immigrant Malka arrives in 1913 Manhattan, where she struggles to survive and learns trade secrets from an Italian ices peddler before setting off across America in an ice cream truck with a handsome, illiterate radical to seek their fortunes." Newcomers are welcome and refreshments will be served. Books are available at the Circulation Desk. Age 10 and up, must register. Ages 8 and up, must register. 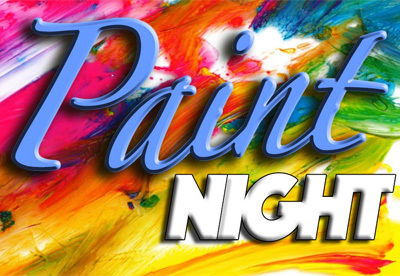 PLEASE NOTE START TIME OF 6PM! THANKS YOU! Informational conference to launch Sanctuary Wellness, Inc. - Rescue - Recover - Restore! Open Mic with the Carver Middle High School Slam Poetry Group. Come down to listen and be inspired or to share your own work in a relaxed environment. Blake Dinius, an Entomologist Educator at Plymouoth County Extension, will educate the audience about how to keep the ticks away with scientifically backed protection methods. Age 8 and up, must register. Beaded Bubble Wands & Unbreakable Bubbles! Children in grades K – 5 may register for a time slot to meet with Marilyn Thayer and her certified family therapy dogs to practice reading skills in a relaxed atmosphere. Each 20 minute session begins with a meet and greet followed by reading time. Children are encouraged to bring their own books or choose one from the library. The Book Club at the Carver Public Library meets on the third Wednesday of each month at 2:00 in the Small Meeting Room. Newcomers are welcome and refreshments will be served. Books are available at the Circulation Desk. The Book Club at the Carver Public Library meets on the third Wednesday of each month at 2:00 in the Small Meeting Room. 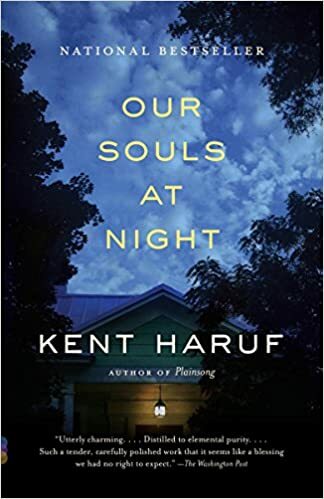 The book for September is Our Souls at Night by Kent Haruf. "In Holt, Colorado, widower Louis Waters is initially thrown when the widowed Addie Moore suggests that they spend time together, in bed, to stave off loneliness, but soon they are exchanging the confidences and memories." Newcomers are welcome and refreshments will be served. Books are available at the Circulation Desk. The Book Club at the Carver Public Library meets on the third Wednesday of each month at 2:00 in the Small Meeting Room. 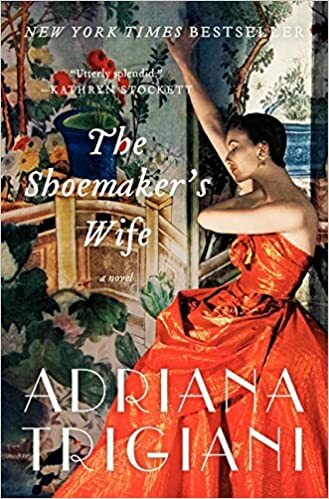 Our October book is The Shoemaker's Wife by Adriana Trigiani. "Two star-crossed lovers--Enza and Ciro--meet and separate, until, finally, the power of their love changes both of their lives forever. Set during the years preceding and during World War I. Newcomers are welcome and refreshments will be served. Books are available at the Circulation Desk.